Dr. Etti is a partner and Senior Vice President of Research & Development at Dr Smood, a chain of organic boutique cafes. Dr. Etti is an author, health food alchemist and lifestyle artist who offers a total health experience in private practice and through Dr Smood's detox programs, juices, Smoodies, and a wide array of healthy lifestyle products. At Dr Smood, she creates and oversees development of new products based on market research and the Dr Smood vision; she also educates and helps spread the vision through social media. Dr. Etti earned her Ph.D in Holistic Nutrition after receiving a Master's degree in family and marriage psychotherapy from New York's Iona College. She graduated from the Institute for Integrative Nutrition as a Certified Holistic Health Counselor. Her passion for helping others improve their lives began nearly two decades ago when she counseled abused and neglected children, families, and married couples. Since then, she has devoted her life to empowering people to achieve their lifestyle goals by combining her expertise on holistic nutrition with the wisdom acquired as a mother of four, and as a career woman whose personal growth coincides with the enlightenment and self-discovery she has facilitated in others. Dr. Etti has been teaching a seven-day body cleansing program - better known around town as SEXI Juicing for 15 years. She has created a practical and authentic adaptation of juice fasting using ancient purification and weight management techniques that are fun and easy to implement in our modern day lives. 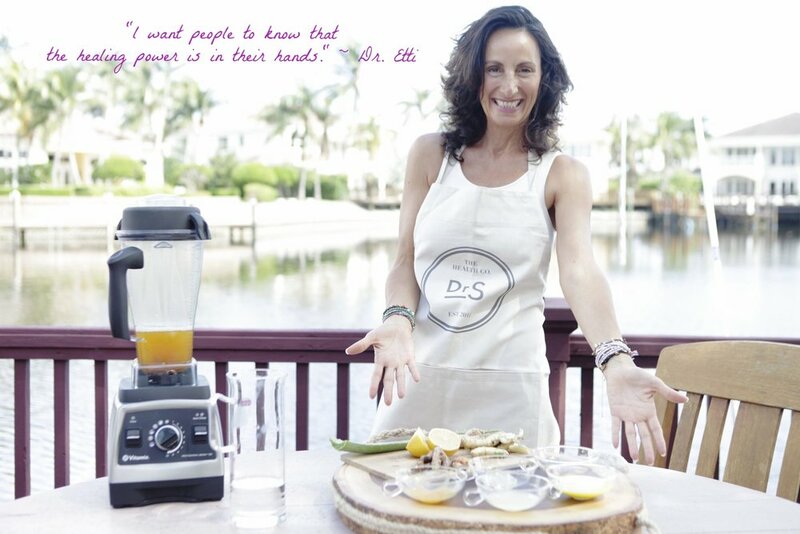 In 2015, Dr. Etti published her book, SEXI Juicing: Reset Your Body, Mind, and Spirit, to make the program available to all those desiring to pursue a healthy lifestyle. The book guides readers through the program with day to day interactions and provides them with shopping lists, recipes, post-juicing meal plans, cleansing tips, and a wealth of holistic nutritional information.